Ten years of continuous war — characterized by multiple deployments, elusive guerilla adversaries, and occupied populations seemingly more tilted toward resentment than gratitude — have taken a significant toll on US troops. In addition to those who have been killed, physically maimed, or neurologically impaired by combat, many soldiers have experienced debilitating psychological disorders including post-traumatic stress disorder (PTSD), depression, and anxiety. Large numbers are on antidepressants and other psychotropic medications, while the suicide rate among troops has risen to alarming levels. Why is the world's largest organization of psychologists so aggressively promoting a new, massive, and untested military program? 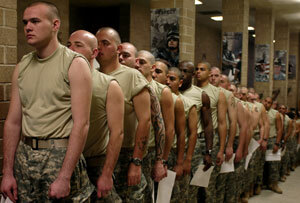 The APA's enthusiasm for mandatory "resilience training" for all US soldiers is troubling on many counts. The January 2011 issue of the American Psychologist, the American Psychological Association's (APA) flagship journal, is devoted entirely to 13 articles that detail and celebrate the virtues of a new US Army-APA collaboration. 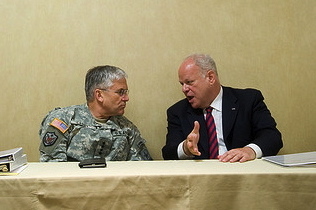 Built around positive psychology and with key contributions from former APA President Martin Seligman and his colleagues, Comprehensive Soldier Fitness (CSF) is a $125 million resilience training initiative designed to reduce and prevent the adverse psychological consequences of combat for our soldiers and veterans. While these are undoubtedly worthy aspirations, the special issue is nevertheless troubling in several important respects: the authors of the articles, all of whom are involved in the CSF program, offer very little discussion of conceptual and ethical considerations; the special issue does not provide a forum for any independent critical or cautionary voices whatsoever; and through this format, the APA itself has adopted a jingoistic cheerleading stance toward a research project about which many crucial questions should be posed. We discuss these and related concerns below.